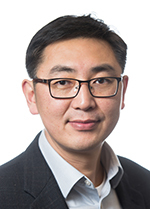 Dr. Jian Zhang is a Senior Research Engineer who has led or contributed to several DOE research projects, including the development of building energy codes and standards, such as ASHRAE Standards 90.1 and 189.1, IECC, and IgCC, and the development of several guides and tools to support energy-efficient building design and retrofits. He has also supported utility companies and stakeholders to improve their building energy efficiency through developing incentive programs and energy efficiency measures. Jian has over 30 publications including journal and conference papers and technical reports. Before joining PNNL, Jian received his Master and Ph.D. degrees at Concordia University where he conducted analysis and testing of heat, air, and moisture transfer through the building envelope and where he worked on fundamental research in air flow and heat transfer and its applications in buildings using computational fluid dynamics techniques. Hart R., C. Chandrasekharan Nambiar, M.T. Tyler, Y. Xie, and J. Zhang. 2019. Relative Credits for Extra Efficiency Code Measures. PNNL-28370 Rev.1. Richland, WA: Pacific Northwest National Laboratory. Hart R., C. Chandrasekharan Nambiar, J. Zhang, and Y. Xie. 2018. Envelope Air Tightness for Commercial Buildings. PNNL-28367. Richland, WA: Pacific Northwest National Laboratory. Rosenberg M.I., R. Hart, J. Zhang, and R.A. Athalye. 2015. Roadmap for the Future of Commercial Energy Codes. PNNL-24009. Richland, WA: Pacific Northwest National Laboratory. Goel S., R.A. Athalye, W. Wang, J. Zhang, M.I. Rosenberg, Y. Xie, and R. Hart, et al. 2014. Enhancements to ASHRAE Standard 90.1 Prototype Building Models. PNNL-23269. Richland, WA: Pacific Northwest National Laboratory. Halverson M.A., M.I. Rosenberg, W. Wang, J. Zhang, V.V. Mendon, R.A. Athalye, and Y. Xie, et al. 2014. ANSI/ASHRAE/IES Standard 90.1-2013 Preliminary Determination: Quantitative Analysis. PNNL-23236. Richland, WA: Pacific Northwest National Laboratory. Halverson M.A., R.A. Athalye, M.I. Rosenberg, Y. Xie, W. Wang, R. Hart, and J. Zhang, et al. 2014. ANSI/ASHRAE/IES Standard 90.1-2013 Determination of Energy Savings: Quantitative Analysis. PNNL-23479. Richland, WA: Pacific Northwest National Laboratory. Zhang J., R.A. Athalye, R. Hart, M.I. Rosenberg, Y. Xie, S. Goel, and V.V. Mendon, et al. 2013. Energy and Energy Cost Savings Analysis of the IECC for Commercial Buildings. PNNL-22760. Richland, WA: Pacific Northwest National Laboratory. Zhang J., R.G. Lutes, G. Liu, and M.R. Brambley. 2013. Energy Savings for Occupancy-Based Control (OBC) of Variable-Air-Volume (VAV) Systems. PNNL-22072. Richland, WA: Pacific Northwest National Laboratory. Liu G., A.R. Dasu, and J. Zhang. 2012. Review of Literature on Terminal Box Control, Occupancy Sensing Technology and Multi-zone Demand Control Ventilation (DCV). PNNL-21281. Richland, WA: Pacific Northwest National Laboratory. Wang W., J. Zhang, D. Moser, G. Liu, R.A. Athalye, and B. Liu. 2012. "Energy and Cost Savings of Retro-Commissioning and Retrofit Measures for Large Office Buildings." In Fifth National Conference of IBPSA-USA (SimBuild 2012), August 1-3, 2012, Madison, Wisconsin. New York, New York:International Building Performance Simulation Association. PNNL-SA-88237. Baechler M.C., M.I. Rosenberg, J. Zhang, K.A. Ruiz, and M.S. Wilburn. 2011. jcpenney retail renovation. PNNL-20519. Richland, WA: Pacific Northwest National Laboratory. Liu G., B. Liu, J. Zhang, W. Wang, R.A. Athalye, D. Moser, and E. Crowe, et al. 2011. Advanced Energy Retrofit Guide Retail Buildings. PNNL-20814. Richland, WA: Pacific Northwest National Laboratory. Liu G., B. Liu, W. Wang, J. Zhang, R.A. Athalye, D. Moser, and E. Crowe, et al. 2011. Advanced Energy Retrofit Guide Office Buildings. PNNL-20761. Richland, WA: Pacific Northwest National Laboratory. Thornton B.A., M.I. Rosenberg, E.E. Richman, W. Wang, Y. Xie, J. Zhang, and H. Cho, et al. 2011. Achieving the 30% Goal: Energy and Cost Savings Analysis of ASHRAE Standard 90.1-2010. PNNL-20405. Richland, WA: Pacific Northwest National Laboratory. Wang W., J. Zhang, W. Jiang, and B. Liu. 2011. "Energy Performance Comparison of Heating and Air Conditioning Systems for Multi-Family Residential Buildings." HVAC & R Research 17, no. 3:309-322. PNNL-SA-72653. Zhang J., D.W. Schrock, A. Livchak, and B. Liu. 2011. "Energy Savings for Quick Service Restaurants." ASHRAE Journal 53, no. 3:36 - 41. PNNL-SA-78546. Zhang J., D.W. Schrock, D.R. Fisher, A. Livchak, D.A. Zabrowski, R.A. Athalye, and B. Liu. 2010. Technical Support Document: 50% Energy Savings for Quick-Service Restaurants. PNNL-19809. Richland, WA: Pacific Northwest National Laboratory.